Hi! Just when you thought that I have disappeared from the blog world I am here again with a new post. It has been a long time since my latest post, I know. It has happened so much, and I have not had the time. I am also proud to tell that I am member of the board at Form/Design Center in Malmö since one year. During 2014 opened up to work in the Malmö-Öresund region. It is one of the most interesting and dynamic regions in Europe right now; a hot spot for design and creativity. I am very happy that we grasped this opportunity to live and work at another place, it is very inspiring and enriching. This doesn’t mean that the studio in Västervik is closed, I have kept my office and workshop there as well. At the moment we have a house in Västervik and a flat in Malmö. Since beginning of 2015 I am more in Västervik again. The reason is that I had a new born that arrived in February! I have also accepted an offer from the municipality of Västervik to work half-time as project manager for urban development projects. It is very interesting and I learn a lot from being involved into these contexts. I can contribute with new perspectives, and I can have use from my skills within creativity management, design processes and sustainability. It is a lot about adding methods for co-creation and to enhance the dialogue and communication within urban planning projects. It is a lot of interesting projects going on. So far I have led the work for a new street and I am working right now on a square. Anyhow, it was Iceland I was about to tell more about. Since 2014 I have two new commissions connected to Iceland. One of them is to develop a couple of new series of lamps for a lamp company. I am working on this with my dear friend and colleague Kristjan Kristjansson who is a Lighting Designer and lives in Reykjavik. During Design March 2015 we were exhibiting the prototype af a new lamp – the Puzzle lamp. It will soon be out on the market. We also showed the conceptual Hollow lamp that is very much appreciated and we have got a lot of attention from. More info about the lamp designs will come during fall 2015. The main project that I am working on in Iceland is Afangastadurinn Austurland – Destination Austurland. 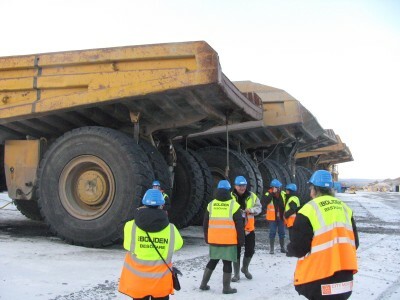 It is a destination design project where eight municipalities in east Iceland have agreed on collaboration for developing a common destination platform. Austurland is the region of esat Iceland. It is a spectacular region. Fantastic nature, fjords, wildlife, culture, a lot to see and do and very nice people. I am very happy to be involved in this initiative. The tourism is one of the new primary industries of Iceland, and a lot of effort is being put into the sector in national contexts. Austurland is now one of the regions who takes the lead are pioneers in many ways. The focus for the initiative is to strengthen the attractiveness and competiveness of the destination, and to create a framework for long term, sustainable and profitable growth for the tourism industry. The focus is also on regional development, and on the well-being of communities and residents. The initiative intends to establish a community movement and a framework for destination development. Everyone are invited to get involved. 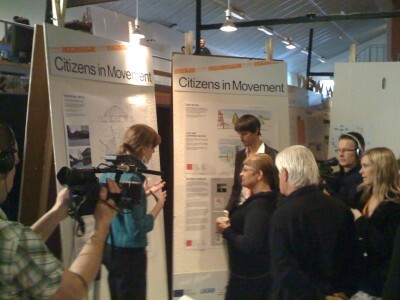 Methods being used aims for co-creation, dialogue and communication throughout the whole process. Áfangastaðurinn Austurland is initiated by FAUST – Ferðamálasamtök Austurlands, and run by Austurbrú. As I already said, it is hard to update about everything that is going on. This is enough for now. I promise that next blogpost will come soon. Design that engage people and develop communities – that was the heading when Daniel Byström from DBD/Design Nation was invited as key note speaker at Business Swedens event; Scandinavian Light and Design in Vienna November 7th 2013. Arranged together with the Swedish and Norwegian Embassies. 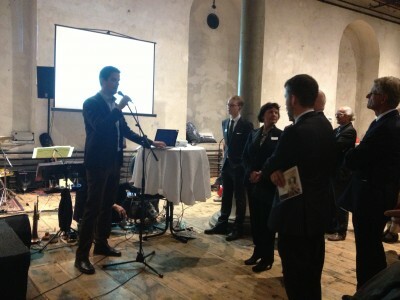 About 500 registered guests was attending the event that was held in fantastic Semperdepot – Academy of Fine Arts Vienna. 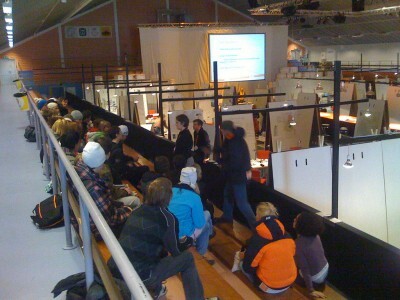 The guests was architects, designers, purchasers. Among the other speakers were norwegian designer Vibeke Skar and Sweden’s Ambassador to the United States 2007-2013 Jonas Hafström. 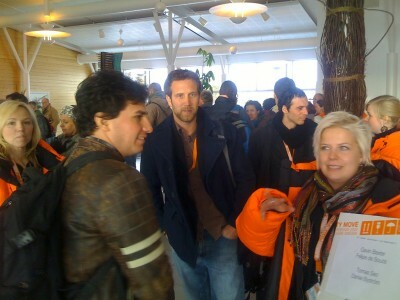 Participating exhibitors was Swedish and Norwegian producers of furnitures and lightnings. Except of showing the characteristics of nordic design aesthetics, Daniel talked about our way of design thinking, the reasons and methods when working in design processes. He explained what community design is about, and how it always must be a sustainability focus in several layers in every design project. In his role as chairman of the Swedish Association of Designers, Daniel also showcased good design examples from contributed from Swedish design studios. There were 65 examples containing everything from sustainable products, concepts, fashion, graphic designs, packaging, services. The speak was focusing on the question – What can design do? The question isn’t what design is, but what design can do. Designers are practitioners of an applied process of creative skills; researching, analyzing, evaluating, synthesizing and then conceptualizing, testing and communicating solutions. We live in a world full of opportunities. Design can be used to connect to people, engage and develop communities and regions. How do we utilize the creativity of the community? How do we create shared visions? How do we make real sustainable products and environments? Make It Happen – Creative Thinking Conference in East Iceland from Disegno magazine on Vimeo. It has been a lot focusing on Scandinavian Design for me lately. Last week I was in a article in Svenska Dagbladet, a national newspaper, answering some questions about the Scandinavian Design Alliance. It had an immediate ripple effect with a lot of positive feedback! Here is the article - http://www.svd.se/naringsliv/varfor-behovs-ni_6034499.svd. 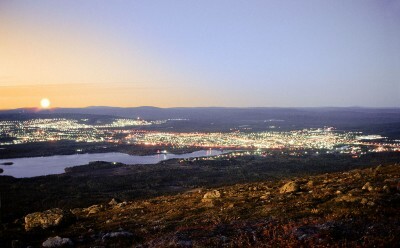 And also one more from another newspaper - http://www.vt.se/nyheter/artikel.aspx?articleid=5861618. Also last week our friends from east Iceland visited us at Nässjö Lärcentrum. Creative Communities, is a project where we exchange knowledge and learn from each other. This time we were focusing at the school in Nässjö and the eductions in design and product development, also sharing knowledge about wood manufacturing. We visited A2 Design in Husqvarna, STANDARD Design in Jönköping and the Master’s Design program at Jönköping School of Engineering. Some of the group were visiting other wood related industries and small saw mills. To end up with we had this workshop about identifying East-Icelandic design. Here is a video clip from the visit broadcasted by the Swedish Television. 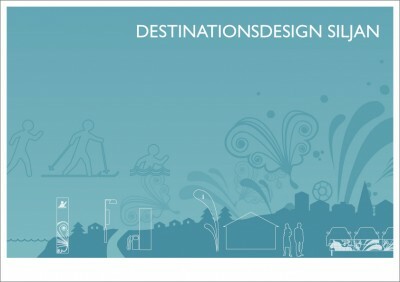 In the beginning of this year I was working with destination design in Dalarna aka. Dalecarlia – a very nice place to visit. I was working together with Lisa Hellberg, landscape architect from Grontmij and Sara Tunheden, designer from Interactive Institute. Together we made a pilot study and some design proposals. It is nice to see some of the concepts has been implemented. 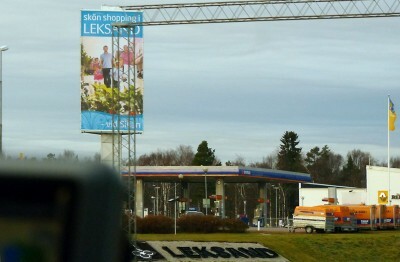 I have not been able to visit the area since I made the design for this sign, but a friend of mine was passing through Leksand recently and kindly enough sent this photo from the car.